Here is one I put together for a former student of mine. 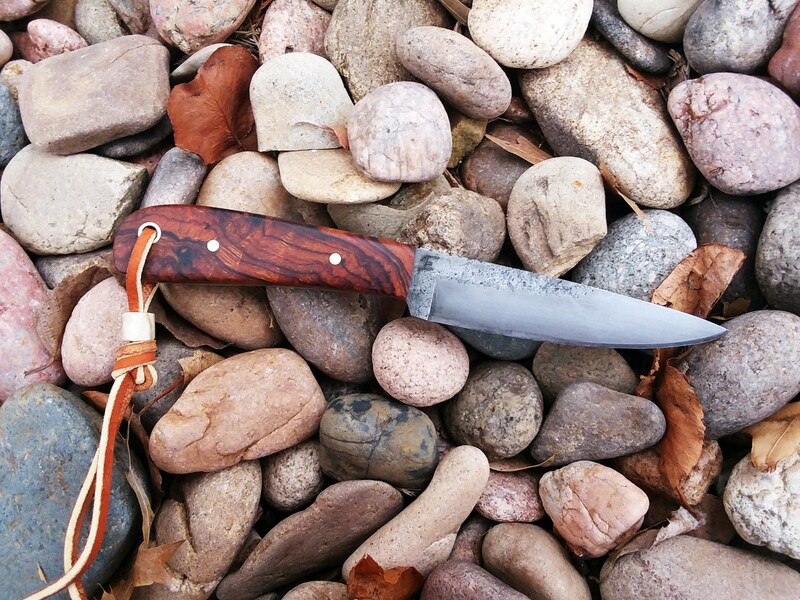 1095 steel with ironwood scales. This knife is close to 7 3/4" overall. Nice work! 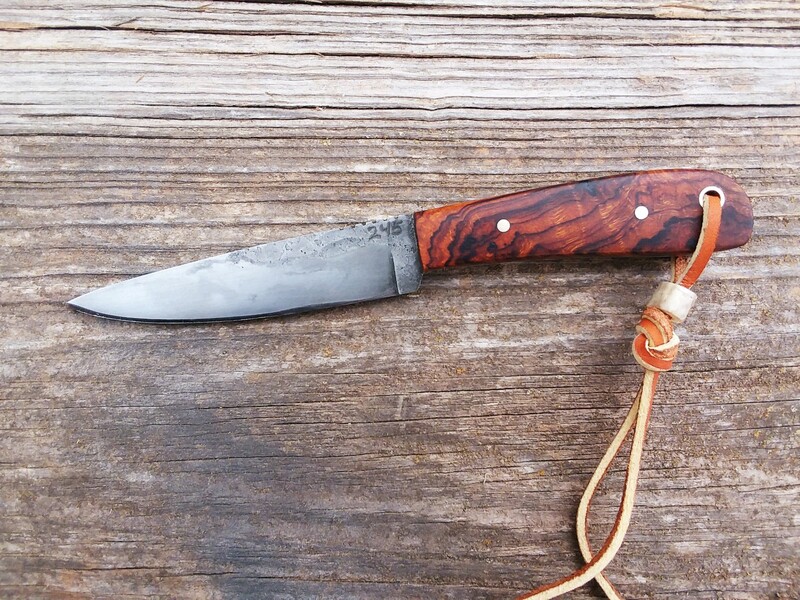 That a great piece of Ironwood on that handle. Really like it!